A few months ago, I started working on our “Mastering Composition” series articles. The idea behind them was to cover all the basics of composition in photography (and, consequently, visual arts in general) starting with some extremely simple concepts, and also provide assignments for beginner photographers to make the educational process fun and engaging. With some luck and effort from our side, the project would gain momentum and we’d be able to not only touch more advanced composition rules / theories and discuss specific examples sent in by our readers (eventually), but also organize a few online and offline workshops along the way. Unfortunately, after writing just two articles, I had to put the project on a bit of a hold. Even worse, I did not assess the assignment results for a very long time. This assignment discussion is long overdue and it is about time I fixed my mistake! In this article, I will discuss the task and the answers provided by our readers under the first article of the series. As we’ve already learned, there are two basic types of composition – open and closed. But I wouldn’t have given you a task that has just two possible answers, that would have been a little boring! There is a bit more to it. Each of the two types of composition has different basic varieties. We will be covering these varieties in separate articles with appropriate images to illustrate them. For now, I will simply list them for you and provide a short description for each one. Notice how many of these you’ve actually seen – possibly without knowing what they were called. More than that, you’ve probably used quite a few yourself. That only proves theory isn’t everything – a lot of these things come naturally, as they should. Asymmetrical composition – a way of placing the elements within the frame in a way that is not symmetrical in relation to the center or central axis of the image. Primitively speaking, asymmetrical composition is an opposite of symmetrical composition and means that elements on one side of the image are different in shape, size, color and/or number to elements on the other side. Asymmetrical composition in its nature is quite dynamic and expressive, although it is not always the case. Mind you, whilst balance in composition is a subject we will touch on later, I feel I must stress out that asymmetry does not mean that the composition of that particular photograph is inherently unbalanced. 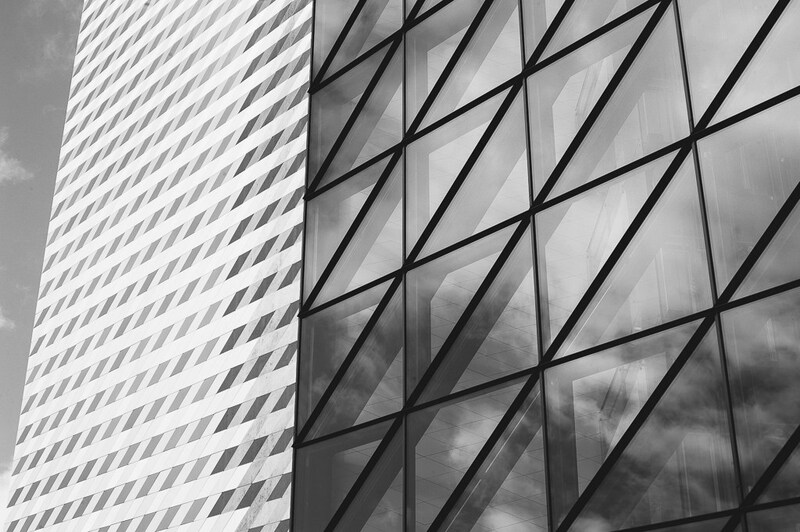 Diagonal composition – this way of composing an image is based on placing elements along one or several diagonal lines (which can intersect) within the frame. Fragmental composition – when the objects (or subjects) within a specific photograph are only a part of their surrounding environment and that surrounding environment is shown going off beyond the edges of the frame, such a photograph is employing fragmental composition. Basically, it shows a part of a bigger scenery/story. Spiral composition – elements within the frame are placed in an extending spiral in relation to a vertical or diagonal axis. This composition variety has a lot to do with the Golden Mean (aka Rule, Spiral, Ratio, etc), which we will cover in a separate article. Vertical composition – elements within a frame are positioned along one or several vertical lines, which creates a sense of vertical movement. This does not mean all vertically framed photographs employ vertical composition, nor does the photograph have to be framed vertically at all. So why is vertical composition considered to be more dynamic than if the objects were placed horizontally? Well, placing the objects horizontally also “grounds” them, it is similar to laying a person down rather than having him stand up. Simply put, a person who is laying down is just visually more static. Symmetrical composition – this is one of the easiest varieties to distinguish. Symmetrical composition is, as you probably realize, a complete opposite of asymmetry. It is a way of composing the image (elements in the frame) in relation to a vertical, horizontal or diagonal axis symmetrically, meaning there are elements that are very similar to each other (not necessarily identical) in their shape, size and color on both sides of the axis. A very good example of such composition is the first image in this article, the one that was provided with the assignment. 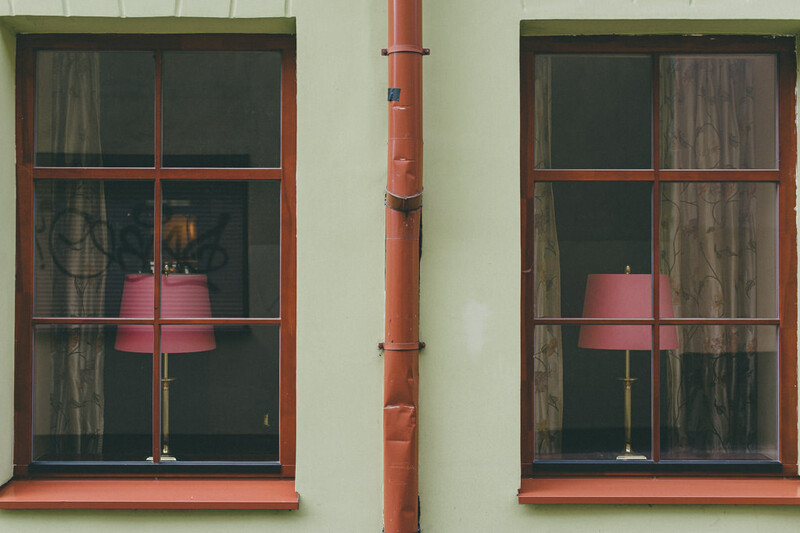 The rainwater pipe is not only a symmetrical element of the photograph, but it also very clearly matches the axis in relation to which the elements (the two windows, etc) are placed within the frame. Similar elements placed around the center of the frame (in a circle, for example) also make for a symmetrical composition. Antithetic composition – this variety is actually very, very similar to symmetrical composition. The biggest difference is that there isn’t always a distinguishable axis around which the elements are placed. Such composition contains elements that mirror each other, but are not identical, merely similar. For example, a photograph of a man and a woman looking at each other (taken in profile) can be considered to employ antithetic composition. Central composition – a way of composing the image whilst emphasizing the elements that are at the center of the frame. Frontal composition – photographing a subject or object directly from the front, “head on”, results in a frontal composition. The photograph that you see at the top of this article that we’ve already identified is symmetrical also employs frontal composition. Pyramidal composition – placing two or more elements to form a triangle within the frame results in a pyramidal composition. A basic example would be a tightly framed portrait of a young family with the father in the middle (as the tallest person), the mother on one side and the son on the other, both leaning into the father slightly (who’s hugging them, of course!) to create a sense of closeness. These are not all varieties, but a lot of them don’t get used much in photography and are more common in other forms of visual art, such as painting. More often than not, photographers will employ several varieties at the same time without even thinking about it. What’s more, some photographs might have features of varieties that seemingly belong to a completely different type of composition. For example, a particular photograph can be symmetrical (a variety of a closed composition) and fragmental (a variety of an open composition) at the same time, even if that is a relatively rare case. So all the information that I have provided above is, like many things when it comes to arts and composition, not set in stone. As I have already mentioned, a lot of these theoretical concepts come naturally in practice. This means that you have absolutely no reason at all to feel bad for not guessing the answers previously, if you haven’t. So don’t feel bad, not even for a minute – we are all here (including the whole Photography Life team) to learn from each other, after-all. I am not an expert at this myself and learn quite a lot while writing the article – there’s always a lot of research going on “behind the scenes”. That also means corrections and suggestions are always welcome! More than that, not all of you might have gotten the answers right, but, simply by guessing, you’ve mentioned plenty of other very important aspects of composition that we will eventually cover in our Mastering Composition series. These include rules and guidelines of composing images (Rule of Thirds, Golden Ratio), ways to direct the viewer’s gaze (Leading Lines), elements of composition (Perspective) and so on. I hope you will continue to take part in these assignments for beginners and have fun while at it! Now, three days have already passed, so here are the correct answers for each photograph. It gives me great pleasure to say most of you were very accurate, good work! This photograph by Nasim uses a closed central, frontal, symmetrical composition. Some of you also thought that it might be diagonal because of the angle of the sun rays. However, what you must remember is to judge the general composition and the main object of focus, not separate elements in the photograph. This photograph uses an open diagonal, fragmental composition with just a hint of vertical lines, too. Again, most of you were very accurate, I am impressed! I was very happy to see so many of you take a shot at this and I’m also glad you liked the article and the assignment! More to come, I promise. 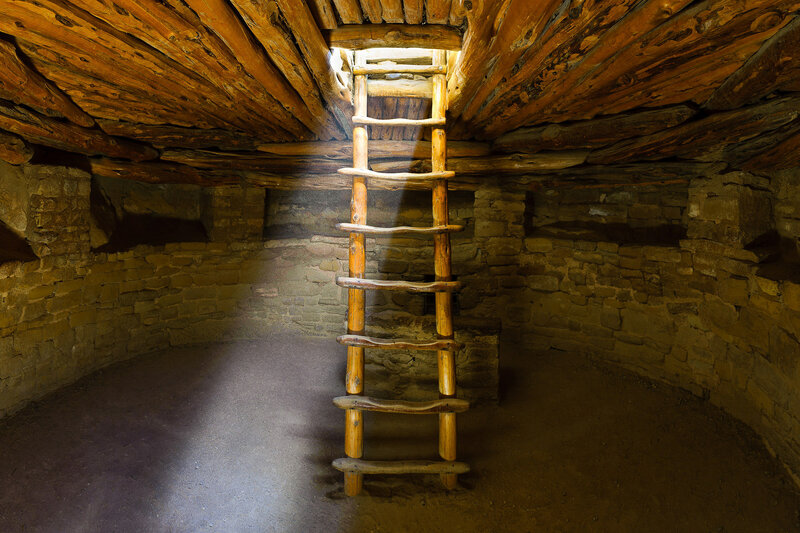 1-the ladder – both open and closed – the stone wall, floor and ceiling lead your eye outward, but your eye is drawn to the centrally placed ladder which plays a central role in the photo; symmetrical; frontal; central; vertical; diagonal (beam of light). 2. building – open – eye is not drawn to one central object; antithetic – the each side of the building contains similar squares with diagonal lines in them – these shapes/patterns sort of mirror each other; fragmental – only seeing part of larger building; frontal. Thanks for such great posts Romanas! I really enjoy your clear writing – especially since you have such interesting and useful things to say! Building would be to me open diagonal. Thanks Romanas, just what I needed to start my day off over here. Image #1 Closed, Central, frontal composition.However one could say that image 1 is also an open, Diagonal composition having a look at the line that the light creates towrads the symmetrical straight lines of the ladder and the wooden roof. Thanks for all the info. Please find answers below. Great information in this serie. Image 1 – I would consider the ladder an Open fragmental and the brick wall closed Antithetic composition. Image 2 – I would say Symmetrical, diagonal and some Anthithetic. Thank you for your continuously sharing your knowledge with us. Image 2 – Open; displays both diagonal and fragmented composition. First photograph: Closed, Antithetic light beam to the left of the axis. Second Photograph: Open, Diagonal, Vertical, Fragmental. Image 1- open and closed, symmetrical,central,diagonal. 1st photograph: Closed composition – Symmetrical, Central and Frontal. I see the first photo as being primarily a closed image that is symmetrical, with a central and frontal composition. The second photo is an open image that is primarily asymmetrical with a diagonal composition. It has vertical and horizontal lines, too, but the diagonal lines dominate. Wow, a real article on photography written by a real photographer (who also shoots film, too). And not one word about gear, megapixels, resolution, sensors, oil spots, sharpness, VR, buffer, frame rate, etc. Bravo, Romanas! There’s actually hope for this website! Hi Romanas, have really enjoyed this series so far and learned so much from it, thankyou for taking the time to share your knowledge. Will the series be continued? Eager to learn more as this is the area I feel least confident in!